In case you want to build your own online store, there are a lot of things you must pay attention to and there are lots of decisions to make. Certainly, one of the key solutions will be choosing an ecommerce platform that would be the most suitable and comfortable for you and your potential clients. While launching an online store becomes much easier with the years, deciding on the ecommerce platform, which will host your store, becomes trickier because more options, features, and characteristics appear all the time and they all must be taken into consideration. Therefore, it all comes down to 2 main options you must choose between: hosted or self-hosted ecommerce platform. Hosted ecommerce platforms offer you all-in-one solution. They provide the software, shopping cart function, hosting, and technical support team in order to solve any problems you face while using the platform. Hosted ecommerce is also known as SaaS (software as a service), because you can overcome technical barriers with its help, since there is no need to write the code in order to run the software – the ecommerce company does it for you. On the other hand, these companies usually charge regular fees for their services offering different prices, plans, and even discounts. Technical support. Any technical aspects of running your store are a not your problem, so you can concentrate on other important issues. Ease of use. In general, building up an online store with the help of ecommerce platform is not complex at all. Constant upgrades. You do not have to worry about making any upgrades or adding new features since hosted platforms are in charge of it instead of you. Fees. You have to pay for the services you get. As it has been mentioned above, usually these are some monthly fees. The companies normally offer various payment plans for different needs. However, sometimes the pricing systems of these companies can be confusing and not really convenient in practice; the prices may grow when the store becomes more popular and requires more features so you have to be careful with this part. Limited customization. As you cannot change the code and adapt the platform to your needs, you must adjust to the conditions and the features offered. This way, it may lower the level of flexibility and limit your store possibilities. International level. There may be some restrictions concerning scaling up, entering markets abroad, and adjusting your store to them. 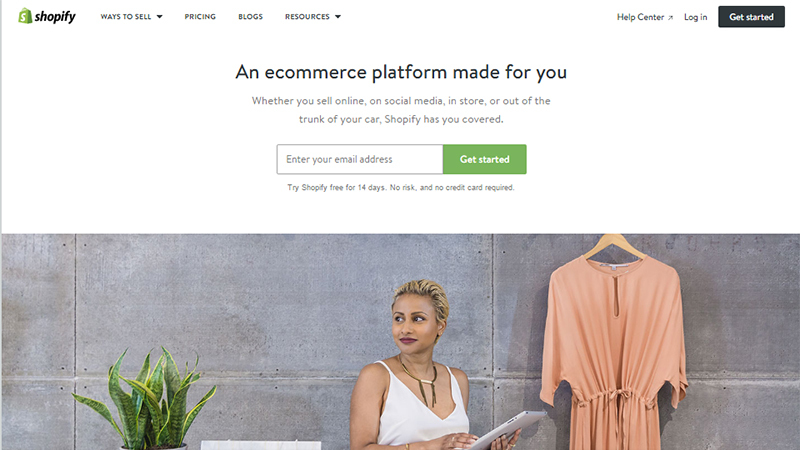 Shopify is probably the most popular online store builder solution out there. With thousands of stores all over the world and billions of sales through this platform, Shopify is the leading ecommerce platform on the market. Its set of features is enormous and powerful. The platform presents more than 100 fascinating, fully customizable, and mobile-friendly template themes. Its designs look so attractive thanks to involving professional independent designers who create them. However, while some themes are free, the others must be paid for. It also offers hundreds of apps to expand your standard Web store and increase functionality. Shopify’s support is around-the-clock so you can apply to them whenever you have any issues to solve. Moreover, it provides unlimited number of products, unlimited bandwidth, more than 900 integrations (including Google analytics), Point of Sale (POS) system, which allows integrating a sale system with your Shopify store, mobile access, experts who can be hired to help with setting your store, and many more options. When it comes to negative sides, they charge two sets of transaction fees unless you use Shopify Plus; and while Shopify library is huge and extensive, not all of its elements are free. BigCommerce is also in the top popular ecommerce platforms, but mostly because of its prominence among small- and medium-sized Web stores. It is often considered to be the biggest competitor to Shopify. BigCommerce also has App store for adding more tools, unlimited amount of products, bandwidth, storage as well as 24/7 support via phone, mail, and chat. This online store builder offers you more than 100 templates, more than 150 integrations (Google Analytics included), mobile apps for Android and iPhone, easy integration with eBay, Facebook, Google Shopping, and more useful options. Meanwhile, among its downsides there may be pricing system, which may look a bit tough and confusing, availability of only 15 free templates, and no built-in Point of Sale system. Wix is another hugely popular hosted ecommerce platform. This online store builder offers extensive and powerful functionality while requiring no technical skills. It has drag-and-drop store builder built in, which actually enables dragging and dropping elements wherever you wants them to be. Wix gives its clients full control over look of their site. This way, it allows building up everything the way you want, however standing in front of so many options can cause some difficulties. It comes with vast collection of professionally designed templates, fully integrated and secured shopping cart, optimization for mobile use, free hosting, and more. Wix gives its clients full control over look of their site. It is flexible and easy to use, but at the same time is considered to be less advanced and sophisticated than those two platforms described above. After all, this online store builder can be really suitable for the beginners, who do not plan to create super advanced online store and sell enormous volume of products. Squarespace is one more well-known brand, which has a great deal of clients around the world. With this platform you get all you need for launching your online store and its further development. It is all-in-one solution, which provides platform, hosting, and domain not requiring any technical skills. Moreover, it has high level of customization and its drag and drop functionality makes this platform quite easy to use. It says “Build it beautiful” and it really means it. Squarespace focuses on creating rich, beautiful, and highly polished designs. It offers a truly large collection of professionally designed and marvelous templates. You can build clean, minimalistic, and imagery-oriented websites with this tool. Moreover, it has an extensive set of ecommerce tools, providing full integration of the functions into their platform, total control over product variants, inventory management, selling both digital and physical products, coupons creation, shipping options, and other useful tools. Meanwhile, Squarespace is more lightweight on features than Shopify or BigCommerce. So, if you want to build visually stimulating and attractive online store, which will be also simple and not that sophisticated, Squarespace will be a solution for you. When you choose self-hosted ecommerce solution, it all comes down to finding your hosting, installing, and running software on your own. In most cases, it is an open source and you can set it up wherever you want. However, there is a need to be a tech-savvy one or just hire the team of professionals. Going this way, you take full responsibility and control over your store. Plus, there is going to be high level of customization. When it comes to money, most of your expenses will be upfront. Nevertheless, you will face lower regular costs. Better customization. While hosted ecommerce solutions may lack something you need, choosing self-hosted ones give you full control over customer experience. Any additional features you wish to see in your online store can be added there without any restrictions. Access to code enables you to do anything you want or hire a person who can do it. Total control. You do not depend on hosted ecommerce platform and you do not have to obey their rules. Hosting your own software guarantees you that it is going to be there, let you play by your own rules, and provides you with higher level of flexibility. Scaling up. You are not restricted by the number of products you want to sell or the markets you want to enter. This way, scaling up and making your store bigger is not a problem. Setup. In general, setup process is more complex in the case of self-hosted ecommerce platforms than hosted ones. You have to find your hosting provider and ecommerce platform you will use, and then manage installation and setup itself. Technical support. You can count on technical support wherever you face any server issues regarding your hosting provider. However, with the problems in software itself you have to manage them on your own or apply to some expert in it. Higher initial costs. It is going to take more money and time to get started. This way, you will face higher upfront costs and building your store will be more time-consuming. Without any doubt, Magento is one of the leading ecommerce platforms on the market today. 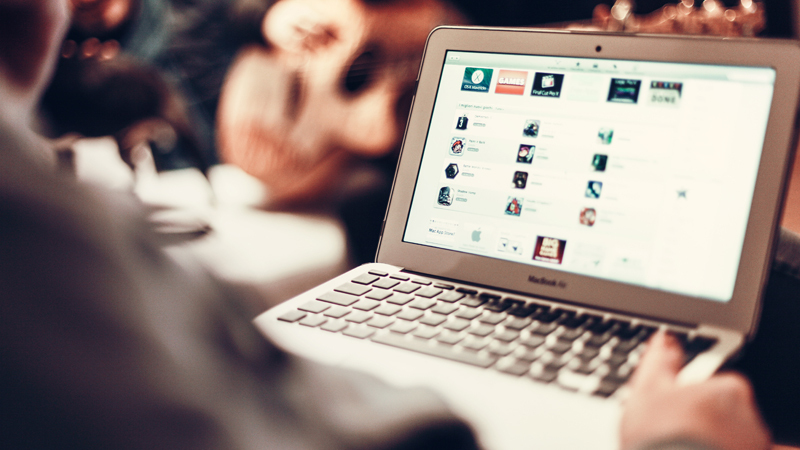 This ecommerce platform has two versions: Community edition and Enterprise edition. While the first one is a hosted open-source version of the cart and does not cost anything to download, the second one is made for large-scale retailers and offers additional useful features. 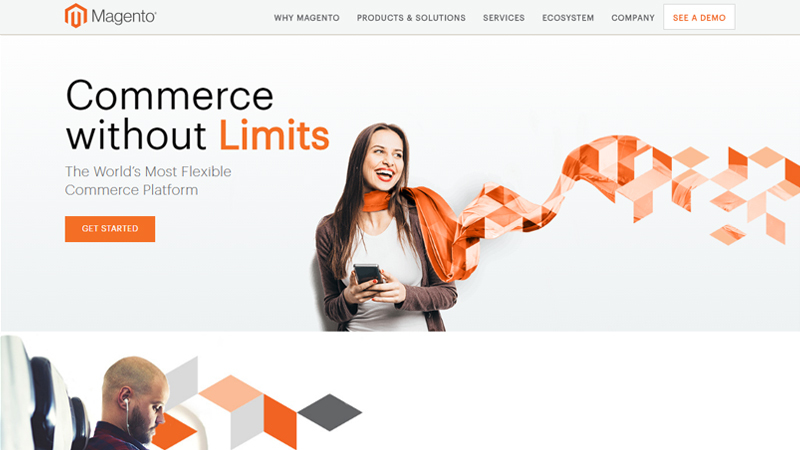 On the whole, Magento is perfect for building a large-scale sophisticated store. It is completely customizable, so you can make your store look and feel the way you wish. This platform also makes it possible to extend your store and enlarge the number of your products, offering multiple storefront, numerous languages, and multi-currency support. This platform offers a broad number of various features and high-quality template, which can be really useful in practice. However, it can be hard for the beginners to work with it as Magento requires high level of technical skills, so this ecommerce platform can be recommended for the users experienced in web development at least to a certain extent. Probably, you have heard of WordPress and maybe even have managed to use it. WordPress is free and open-source content management system and is said to be the easiest and most powerful CMS these days. And WooCommerce is a free to download WordPress plugin so it enables adding ecommerce features to your WordPress site and getting all the benefits of using WordPress platform for creating your website. However, while being free to download, it includes additional costs concerning its integration. WooCommerce is fully customizable and scalable. It offers extensive library of add-ons and beautiful themes, highly intuitive admin panel, one-page checkout, standard cart components as Inventory, Shipping, Coupons, and Payment Integrations, as well as support for several common payment options like PayPal. Thus, its set of features enables creating a totally functional online store from the beginning. All in all, WooCommerce is easy to install and use. If you are comfortable with using WordPress, it will not cause any difficulties. On the other hand, not having WordPress website and not being aware of how to work with it can make the process tough. 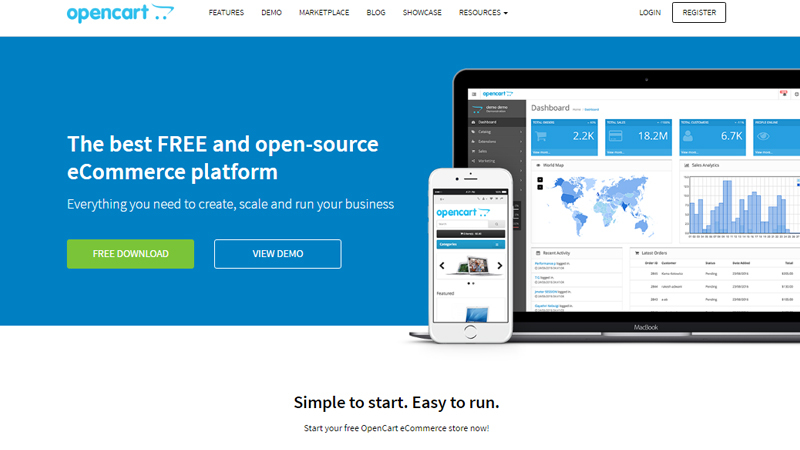 OpenCart is a strong competitor to other self-hosted ecommerce platforms on the market. Having got extremely simple setup and maintenance process, OpenCart emphasizes on ease-of-use and quick start of the process. Its great advantage is well-designed, straightforward, and user-friendly interface. However, in order to work with this platform, you need some basic technical skills and coding experience. OpenCart offers integrations with plenty of payment gateways, multiple currencies, and multi-store support, so this platform makes it possible for your store to go global. It is free but requires some costs, such as hosting, extensions, and payment processor. In general, OpenCart comes with a lot of extensions and themes available and a rich set of features. There is good support documentation provided in addition with screenshots to make the whole process easier. On the other hand, when using OpenCart you may face some difficulties in customization and installation of some themes. Today, when ecommerce is increasingly popular, the demand for ecommerce platforms is growing as well. And so are people’s expectations towards them. As you must have noticed when reading this article, there are a lot of solutions in this area with different set of features and various needs they aim to satisfy, which makes the choice even harder. In the end, with self-hosted ecommerce platform you receive more control and customization. On the other hand, when you choose hosted one – you do not have to worry about code at the same time having access to the set of tool the platform offers. On the whole, you have to decide on the costs you are ready to spend on your store, technical skills you or your team should possess, and the features, which are essential for your project. Then you should make up your mind whether hosted ecommerce platform or self-hosted one will be more suitable for you, which platform meets your requirements to the greatest extent, and how you are going to manage it. Afterwards, start building your store.